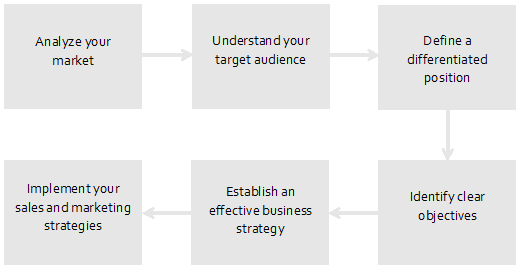 Do you want to better understand your market, determine its size and define your target audience? After an analysis of your business and its environment, we will help you establish clear objectives as well as a concrete marketing strategy. Do you want to differentiate yourself from your competitors and demonstrate your value to your customers? The Altitude team will highlight your most robust competitive advantages in order to distinguish you on the playing-field for your target market. Do you want to develop your customer base using efficient means? 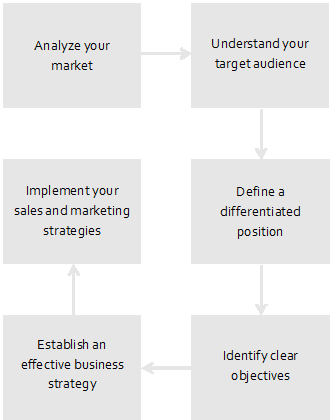 We offer business strategies to optimize your sales and marketing activities. If you are a business with a new project, or if you want to obtain funding for an existing project, we will produce a complete business plan for you.